Ever since we married in 1990, my wedding ring has not left my finger but to dry my hands or to clean it. It is on 24hrs a day. Our rings are identical and are yellow gold. My wife hardly ever wears yellow gold anymore. Most of her stuff is now white gold and silver. 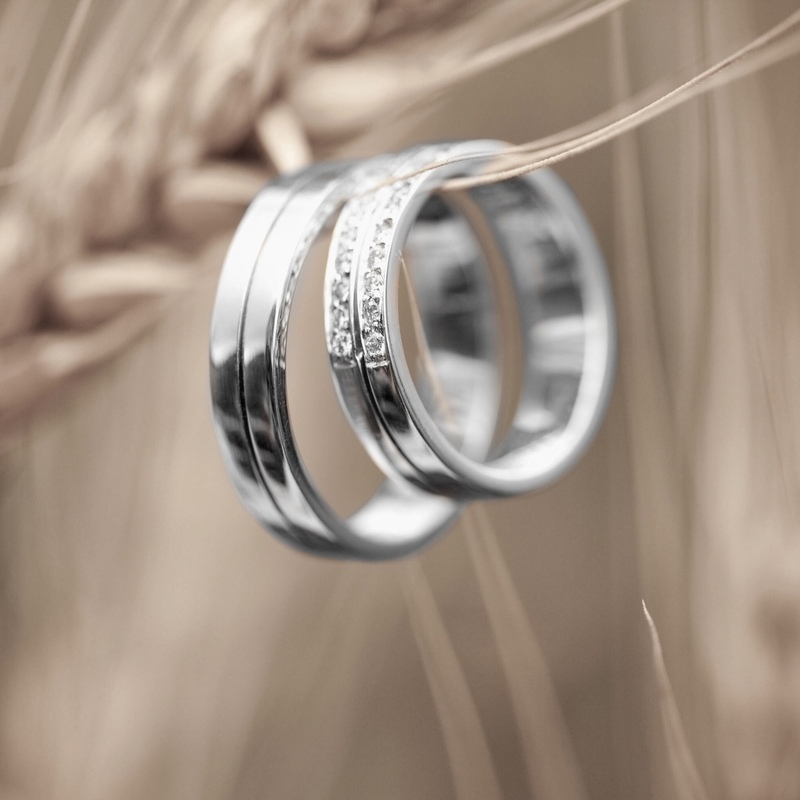 Traditionally, 20th wedding anniversary gifts are either china or platinum. I didn’t think a plate was a very romantic way of telling my wife how much our twenty years of married bliss meant to me. I decided to have a new wedding ring made exactly like the ones we have. I took my ring to the jeweler for them to make a photo copy or take a photo so they could copy the design. Or rings are an unusual design and the jeweler said he had to keep my ring if I wanted an exact copy, otherwise it would just be a similar copy. I wanted it as an exact copy, so reluctantly I handed over my ring for two weeks so they could make the ring. When I got home I told my wife one of my diamonds fell out and I had to take it to the jeweler for repair. Then, within an hour the area where my ring sits started throbbing and turned blue and swelled up with a hematoma. Was that the Pinocchio curse for telling a lie about my ring? Or was it just a case of being on Plavix and Lovaza? Plavix increases the chances of bleeding easily and Lovaza increases the chances a little more. I bruise very easily. Slightest knock, I bruise. I did a little research on the web and it seems that removing my ring for an extended period may have caused the bruising. Obviously there are veins running up along the finger, and the wedding ring puts some pressure on the veins in that area, and removing the ring for an extended period lets the vein open more than is accustomed to. If you are on a blood thinner, the bruising can occur as a result of the vein expanding and extra blood rushing into the capillaries. So if you do wear a ring all the time, and you are on a blood thinner, if you take off your ring for an extended period, don’t be too alarmed if you form a bruise in the area. I learn something new every day. My Hematoma was gone in a couple of days by the way. Well, my father had his ring on for the longest time that in later years, when something had to be done like an ECG, they had a hard time at the hospitals because they needed to take the ring off him but those wouldn’t come off. The last time he was operated on, though, they were able to take it off him without cutting the ring, just don’t know how they did that. We never put it on him again. Too bad I forgot about it when he died. I could’ve put it back. My mother had hers on. Oh, well, that’s one remembrance I’m keeping.